If you are earning less than your colleague, you can now also blame it on your genes. 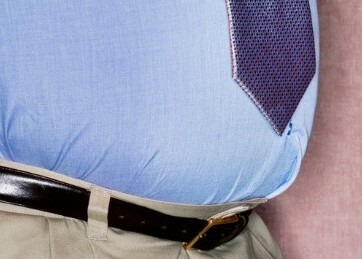 Small men and overweight women earn less than other people, a recent study has revealed. The study, published in the British Medical Journal, was conducted by a 14-member team of researchers led by Professor Timothy M Frayling of the University of Exeter. The study is based on genetic data from almost 120,000 persons in the 37-73 years age group, of white British descent and confirmed as ancestrally “Caucasian” using principal components analyses of genome-wide genetic information. The team studied 400 genetic variants associated with height and 70 associated with body mass index (BMI). They used these genetic variants, together with actual height and weight, and compared them with information on living and income provided by participants from the UK Biobank. Results showed that shorter height led to lower job status and less income, particularly in men, and higher BMI led to lower income and greater deprivation in women. The data gathered during the study supports evidence that height and BMI play an important partial role in determining several aspects of a person’s socioeconomic status, especially women’s BMI for income and deprivation and men’s height for education, income, and job class. The findings of this study have important social and health implications, supporting evidence that overweight people, especially women, are at a disadvantage and that taller people, especially men, are at an advantage. The study, however, states that it is limited by the fact that its participants were born between 1938 and 1971, and the causal associations may not remain in today’s society or be generalisable to societies outside of the UK. Moreover, the causal associations may have been influenced by parental genotype-socioeconomic status associations. Frayling is a Professor of Human Genetics who is internationally recognized as a world leader in the area of genetics of common traits and conditions. He and his colleagues focus on using genome wide approaches to identify genetic variation associated with common human disease and quantitative phenotypes and translating that knowledge into an improved understanding of disease biology. This study is bound to be widely discussed and quoted.